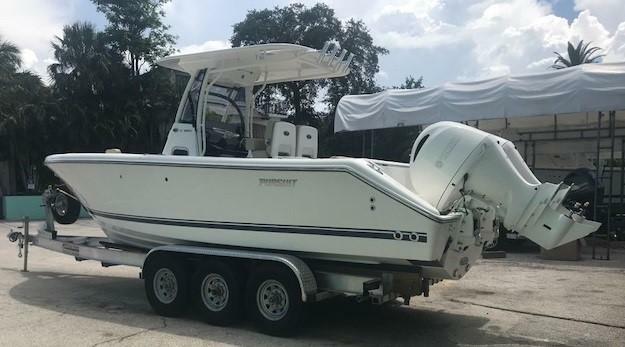 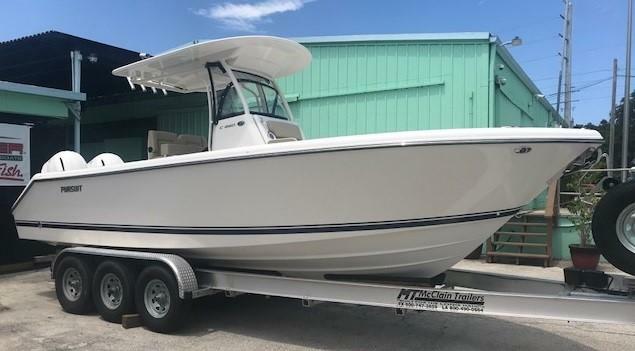 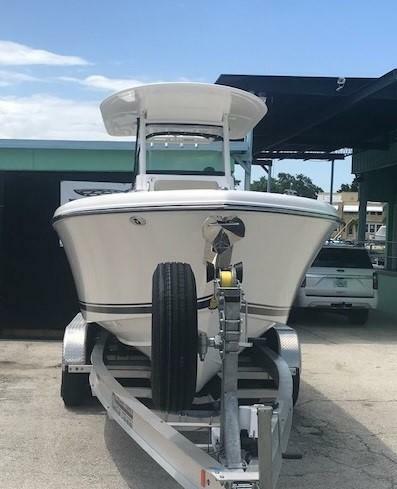 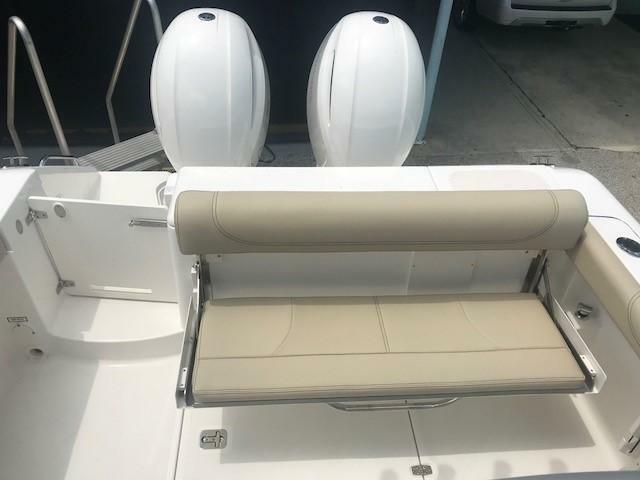 Customize this Factory Ordered Boat Today! 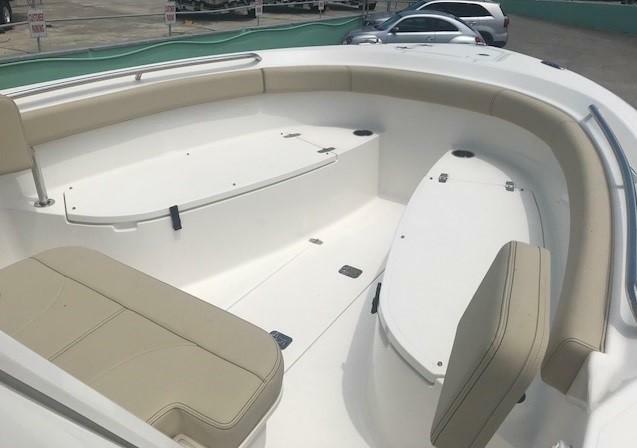 To see all options please click Manufacturer Installed Options tab. 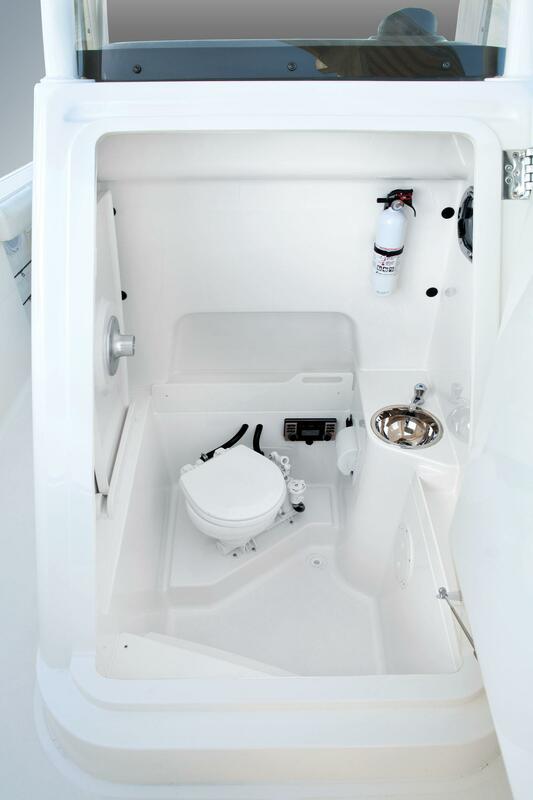 All molded hatches throughout the boat are finished inside and out. 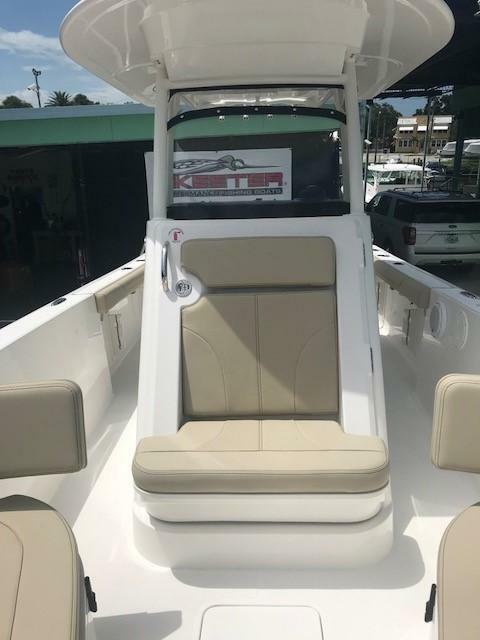 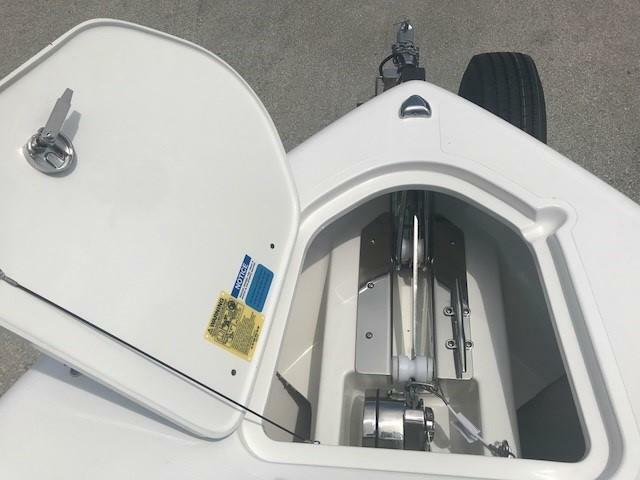 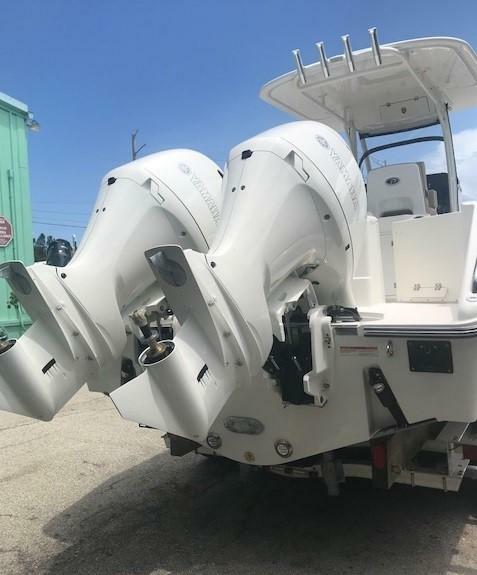 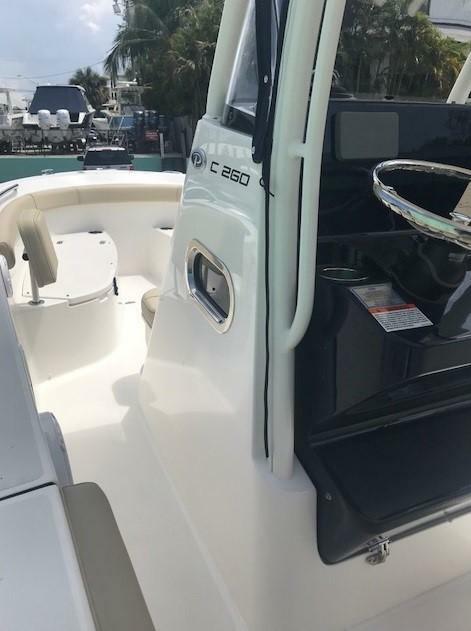 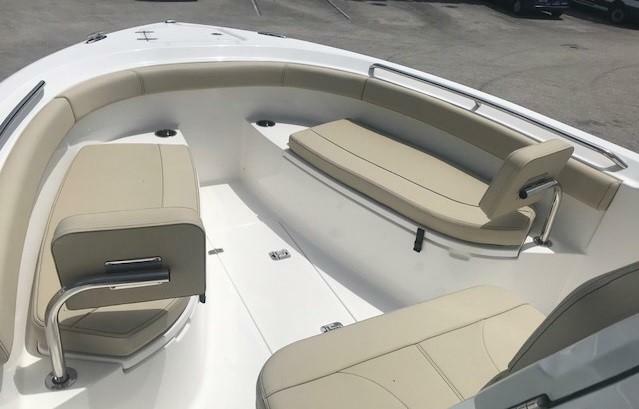 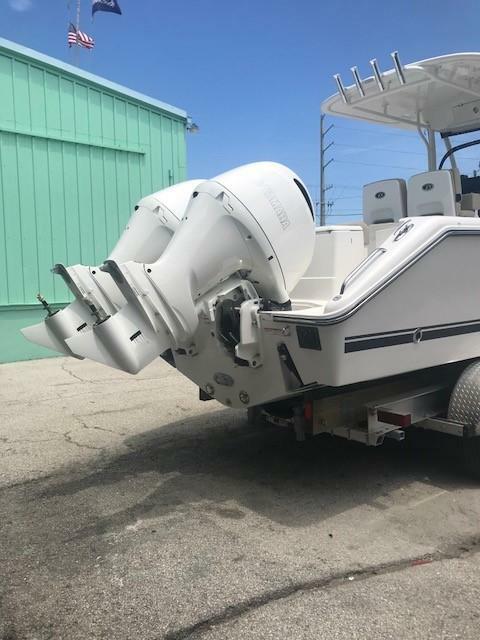 Interior highlights include bow storage port and starboard, a thru-hull optional windlass system in the bow, forward opening head access and a custom surfboard styled, vacuum-infused hardtop. 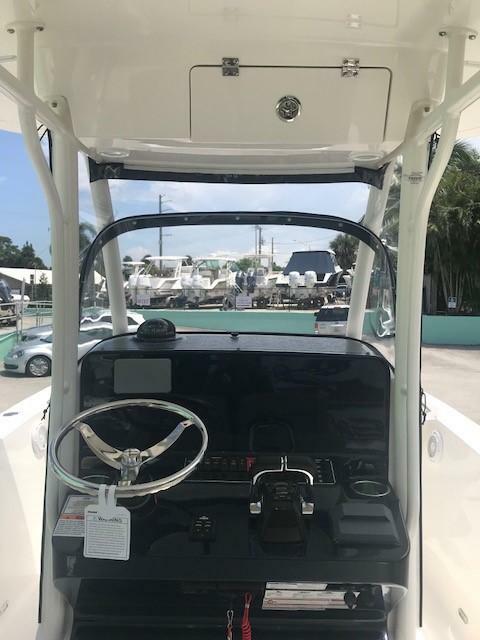 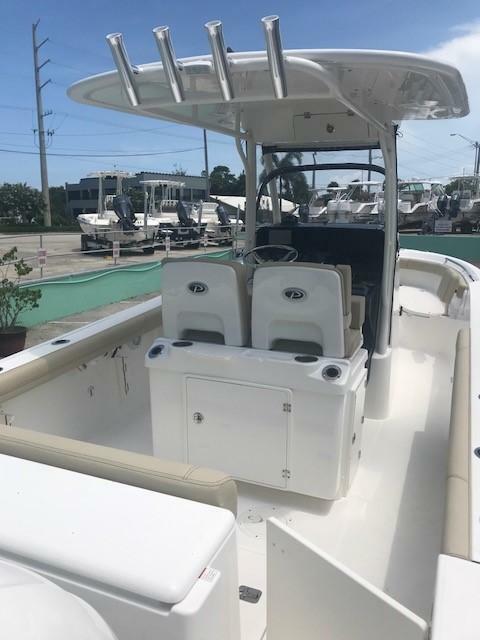 The helm is protected by a curved, recessed acrylic windshield built to accent the stylish lines throughout the interior and exterior appointments. 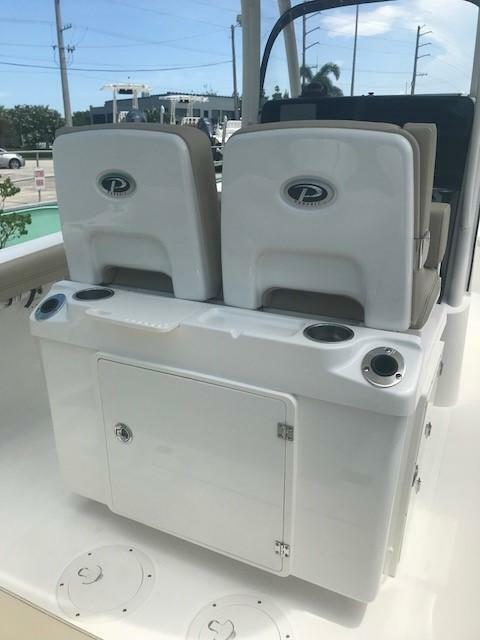 Captain and crew share a double-wide adjustable leaning post/seat arrangement. 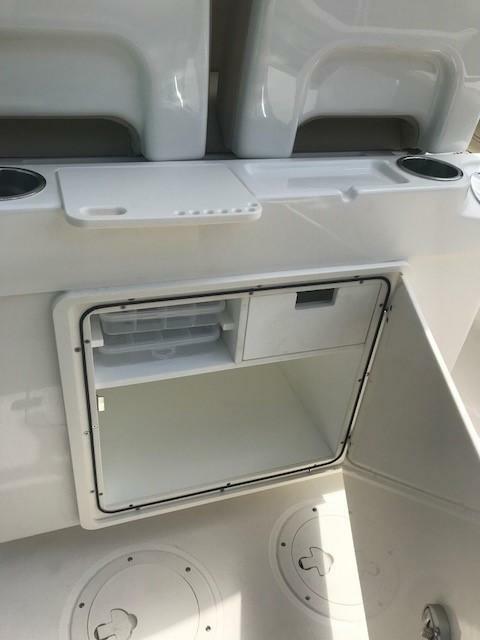 Finished with such fishy details as a 30 gallon livewell, 31 gallon insulated fish storage box and separate cooler in the transom.